Often a person’s relationships are affected when COPD is in the picture. Sometimes people don’t know what to say, which can make it hard to interact. Other times, people say something that shows they don’t understand what a person with COPD goes through, and that can be painful. Want another perspective on COPD & Relationships? Hear what our advocates have to say! 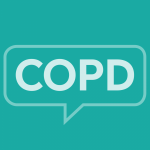 How do you explain COPD to your friends and family? Hi longlegdog and thanks for your post. We all appreciate what you’re going through as many in the community are in similar circumstances. Are you under a physician’s care for your COPD condition? With proper treatment you may be able to manage it to the point that you are able to spend more time with your grandson. I’m sure he just wants to be together with you whether you’re at the beach or just at home.